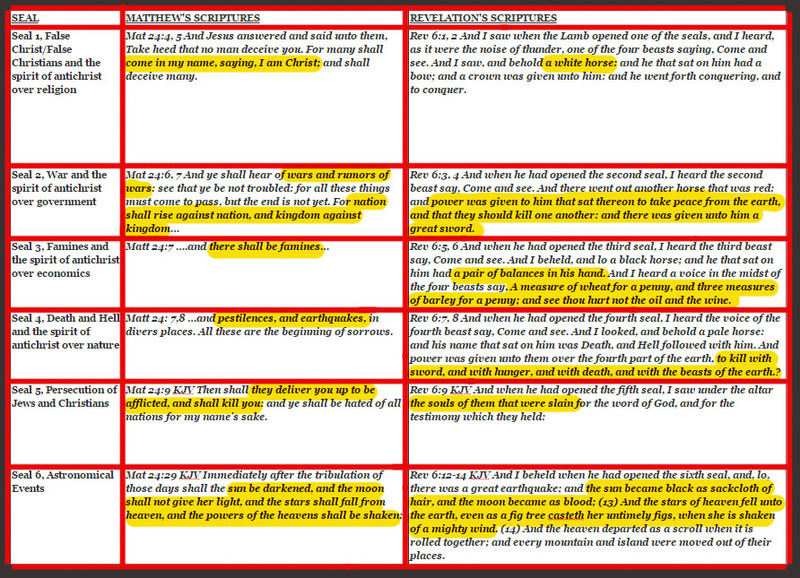 This is a graph to compare Matthew 24 and the Six Seals of Revelation and see that they are talking about the same things. What happens at the end of Jesus’ dissertation on what is going to happen at the end of the age? The rapture, verses 29-31! This matches perfectly in timing with the Sixth Seal, which is when rapture occurs.